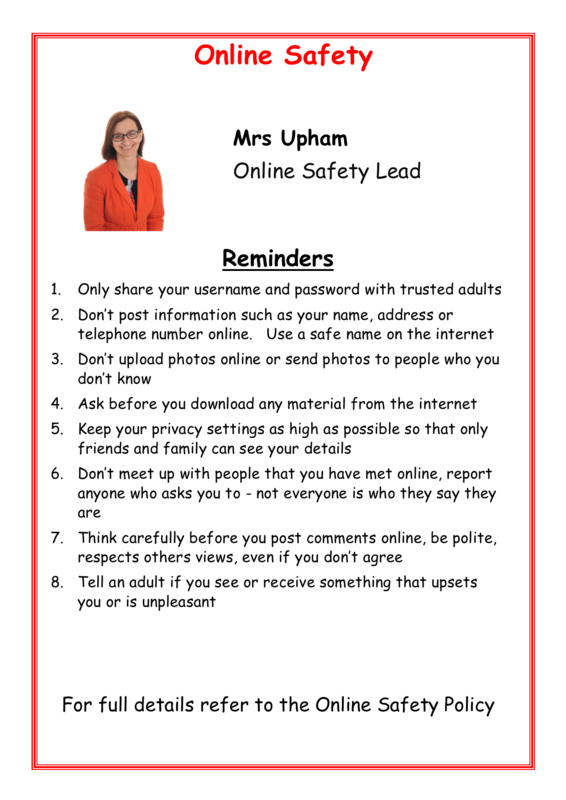 We teach children how to stay safe online during lessons throughout the year and with a detailed focus on it during Internet Safety Day. If necessary, we adapt our curriculum to ensure children develop a deeper understanding of the importance to stay safe. 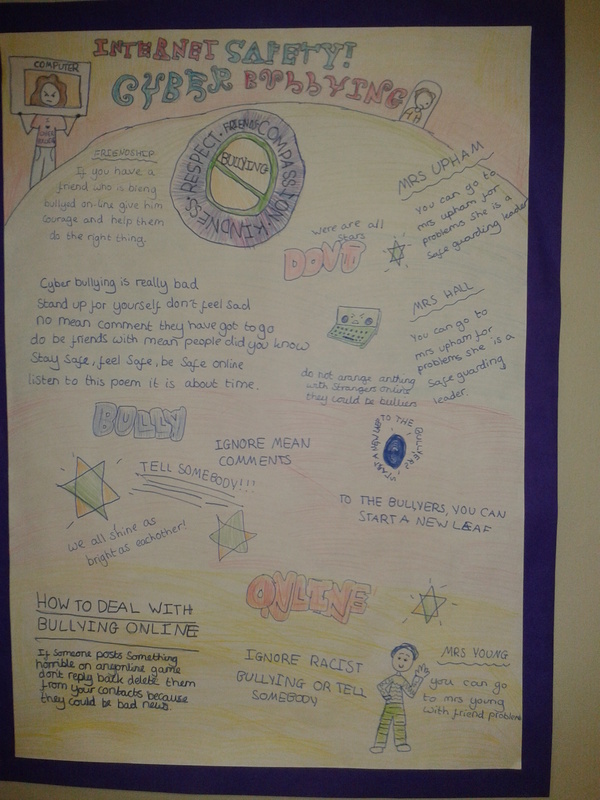 This has included creating an English unit in year 6 about mobile phones and internet use. We work with our local High School - BBG Academy - learning about staying safe online. They work with the children in Year 6. This is an important aspect of the curriculum and one where it is critical that we work closely with parents and carers. Below are some links you may find useful to look at with your child or to help you support your child. If you wish to discuss any aspect with us at school, please make an appointment. Copyright, East Bierley CE (VC) Primary School. All rights reserved.